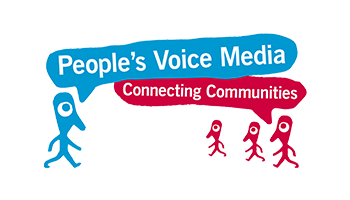 People’s Voice Media is a NGO based in Salford in Manchester that works across Europe. PVM was founded in 1995 and we specialise in supporting people to have a voice. In 2013 we were recognized as being one of the top 50 digital leader in the UK. We developed the Community Reporter programmer in 2007 and this has now developed into a pan European Community Reporter partnership with over 35 organisational members and almost 2000 reporters. Reporters are local residents often from marginalized and excluded groups who tell their own stories and the story of other people around them to develop an authentic European voice of real people. All are programmers are accredited and quality assured through the Institute of Community Reporters. We work in the Heath, housing and higher education and research sector with service users, citizens and communities. The Comparative Research Network was founded in 2007 and has works in the field of adult education. The CRN Network specialises in delivering training activities within the fields of intercultural competences, intergenerational learning, mobilities and migration. Additionally CRN specialises in creating and performing evaluation and dissemination processes. Due to CRN being organised as a transnational network, it has an international scope. As an NGO CRN is non-profit oriented and performs crucial part of its work on a voluntary bases. The major target groups of the CRN are marginalized groups, such as persons living in remote rural areas, seniors and unemployed. CRN is seeking to link social science with civil society actions - that is why CRN has joined various local, national and transnational networks. Change Maker is a change agency working in education, and using organisational consulting to support communities to start up activities, do fundraising and find networks. Changemaker are an experienced actor working in cooperation and education with the Swedish Folk High Schools and HigherVocational Training programmes (funded by Swedish Authority of Higher Vocational Training). Our programmes are concerned with getting people to find the ways to the labour market (through studies and practice). COSV was born in 1968 and it is active in the field of the International Cooperation and Development. COSV is active in Europe, Africa, Latin America, Mediterranean and Middle East, the Balkans and in the Pacific. COSV aims to promote a culture of cooperation and solidarity between people building on an asymmetric relation between the donor and the beneficiary. COSV wants to foster a cooperation founded on the interaction among peers for the achievement of a common aim: the economic, social and human development of the societies. COSV also aims to build a real partnership with its local partners, where the relationship is built on a continuous and valuable discussion between different parties each sharing the same objectives. INTRAS is a non-profit organisation founded in 1994 dedicated to high quality research and intervention in the psycho-educational field. It aims to improve the quality of life of vulnerable groups, and in particular youth at risk of social exclusion due to social/family/migrant/disability background. We do this by delivering education and training and promoting their inclusion into the labour market. The organisation consists of 10 centres in 8 different provinces in Spain with more than 120 psychologists and professionals from social and educational fields carrying out research, education and training. INTRAS targets young people who are not in employment,education or training aged 14-21. We re-engage them in second chance educational programmes and help them find job opportunities. INTRAS runs non-formal educational activities such as artistic workshops (handcrafts, painting, graffiti...) and ICT/digital workshops (computering design, digital photography, blogging, radio online, podcast...). Częstochowa Association of Small Business Development was founded in1996. As part of its statutory function the govenment works with business at a local and regionally level in the field of rural development and community rural development. We organize and support various kinds of business projects through workshops, training, festivals and study trips. In the last 10 years over 10,0000 partcipants have taken part in our programmes. We also support businees development in rural areas through a loan fund. Since 2005, we started to support various local youth groups and have worked with 15 projects some of which our international. Employees of Czestochowa Small Enterprise Development Association for the last 7 years organised all kinds of international youth projects. For more than five years we have been working with organizations and youth groups from Ukraine, Belarus, Georgia and Armenia.